Xiaomi Redmi 5 will make its Global debut in February, India launch soon? Chinese smartphone maker Xiaomi is tipped to globally unveil its new budget device, the Xiaomi Redmi 5 in the second half of February. While it will be the next budget smartphone from the company, Xiaomi needs it to take on other 18:9 display offerings from its competitors. Companies like Honor and Samsung are taking up the budget phone market with recent devices. Seeing this, the Xiaomi Redmi 5 is equipped with a Snapdragon processor and LTE 20 for European compatibility. Launched in China last month, the Redmi 5 also comes with 18:9 aspect ratio display and a 450 nits brightness. The phone is tipped to be launched by Roland Quandt. 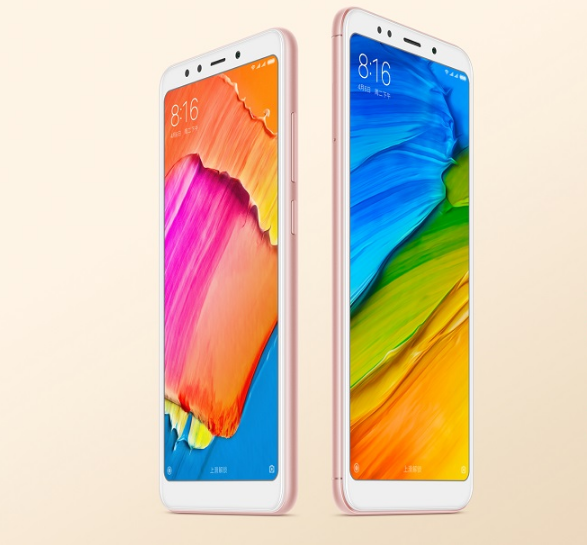 Launched as a China Exclusive device back in December last year, the Xiaomi Redmi 5 is expected to make its Global debut in the second-half of February. The phone is featuring a 5.7-inch IPS-LCD display with full HD+ resolution and an 18:9 aspect ratio. In terms of cameras, the phone features a 12MP main camera and a 5MP front-facing unit. Both the cameras as supported with dedicated flash. There is a bigger variant of the phone, namely the Redmi 5 Plus, which gets Always-On front-flash for low-light video recording. Coming to hardware now, the Xiaomi Redmi 5 is equipped with a Qualcomm Snapdragon 450 processor. This processor is coupled with two RAM and storage variants i.e. 2GB/16GB and 3GB/32GB. The bigger Plus variant is sporting a Snapdragon 625 processor with 3GB/32GB and 4GB/64GB storage. There is no hint about the Redmi 5 Plus coming to the Indian market. For performance, the phone runs Android 7.1 Nougat with the latest MIUI 9 on top. The MIUI is Xiaomi’s home-grown user interface for their smartphones. With frequent updates to MIUI, the company compensates for slow Android updates. Lastly, the Xiaomi Redmi 5 is packing a 3,300 mAh battery. There is no word about fast charging. Standard connectivity options on the device include Bluetooth, GPS, WiFi, and Micro USB port. The phone is selling in China for 799 Yuan, which translates roughly to Rs. 7,790, which is a competitive price for this phone.